Claxton Welch was on the David Douglas Football team when we took State in 1965. He later went on to play for the Dallas Cowboys. Lindsey (Ball) Wagner graduated in 1965 and went on to become a television actress best remembered as the "Bionic Woman"
Create a David Douglas High School memorial for an individual alum that has passed away. The alumni of DDHS in Portland, Oregon are encouraged to use this site to relive their time in high school by sharing with former students and teachers of David Douglas High School. If you are a former student of David Douglas High in Portland, Oregon, register now to add your name. 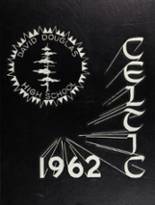 Don't forget to upload your David Douglas High School pictures and check on the latest info about any David Douglas High School reunion. William Reisner has someone searching for them. Mitchell Greenup has someone searching for them. Ronald Armstrong has someone searching for them. Katherine Carlson has someone searching for them. Ronnie Munsey registered as a DDHS alumni. Ronnie Munsey updated their profile picture. 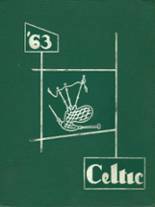 Ronnie Munsey added photos to their personal photo gallery. 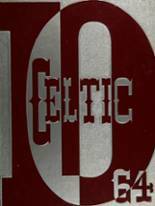 Clyde Rood added photos to their personal photo gallery. Clyde Rood updated his profile picture. Clyde Rood registered as a DDHS Class of 1992 alumni. Ernie Buchinski added photos to their personal photo gallery. Ernie Buchinski updated their profile picture. Ernie Buchinski registered as a DDHS alumni. Dale Erickson registered as a DDHS Class of 1969 alumni. Dale Erickson added photos to their personal photo gallery. Dale Erickson updated his profile picture. Dale Erickson added reunion information for the DDHS class of 1969. Janie Neumeister Allen added photos to their personal photo gallery. Janie Neumeister Allen registered as a DDHS Class of 1962 alumni. Janie Neumeister Allen added a famous alumni profile for Samual Pack (Sam) Elliot. Robert Mendel registered as a DDHS alumni. Robert Mendel updated his profile picture. Robert Mendel added photos to their personal photo gallery.